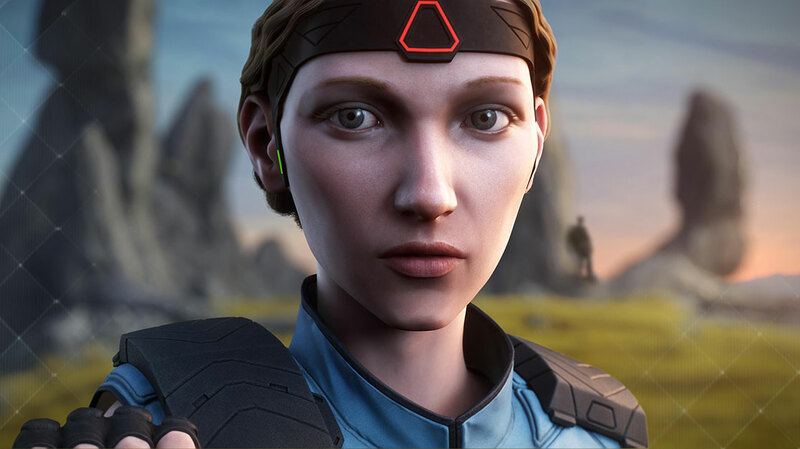 Melanie Stokes, from Kindle Entertainment, and Balloon Entertainment’s Bryan Elsley offer six points of interest about Kiss Me First, a drama series set in both the real and virtual-reality worlds coming to Channel 4 in the UK and Netflix. 1. Kiss Me First tells the story of Leila, a lonely 17-year-old girl who is addicted to a fictional online gaming site. While playing the game, Leila meets Tess, a cool and confident party girl who harbours a dark secret. The pair become friends in the real world, but after Tess disappears, Leila decides to assume her friend’s identity and is quickly drawn into the mystery behind her disappearance. 2. Melanie Stokes: The show is a thriller, a coming-of-age story. It’s full of intrigue but essentially it’s about female friendship, set in the real world and the virtual reality (VR) world. It’s based on a book by Lottie Moggach, which I read at manuscript stage about four years ago. I wanted to do something that looked at the impact of the digital world on young people, how it’s changed the way they identify and communicate, and how they can hide in the internet in a way we just don’t understand. So when I read the book, it felt absolutely ripe for adaptation. Bryan wrote Skins so I sent him the book and, luckily, he liked it. The biggest challenge was that, in the book, it’s set in chat rooms and it didn’t particularly lend itself to dramatisation so we were really struggling to represent that on screen. Then Bryan had the idea we should make it a VR world so when she comes into the internet, she becomes an avatar. That was the breakthrough idea. 3. Bryan Elsley: Combining live action and animation wasn’t easy to start with because we didn’t know anything about animation. Four years later, we know a little bit more. We were lucky that we found a fantastic studio, Axis Animation in Glasgow, and just sat with them for a year working out how to put live action and CGI animation together. It was a long process. It’s a very new kind of project, so there was skepticism from all sides – could we actually do it? We just had to pretend we did know how to do it for quite a long time. 4. Elsley: Our main concern was working out how to tell a coherent story set in two different worlds. My main inspiration for the way we’ve approached the show is Mary Poppins, which made a huge impression on me when I saw it at the age of six. I just wanted to go through that pavement like the kids in Mary Poppins. The idea of escaping to another place where you can be different is at the heart of the story. The jury’s out on what will happen with VR and how it will be utilised in future. I’m sure many exciting things are going to happen, but our main priority was to tell an arresting story about young characters. There is already a prototype VR experience that goes with this show. 5. Elsley: The principal element of the animation is motion capture, so the actors’ performances were captured and then we proceeded to animation. I thought that would be quite easy, but it was the beginning of a very long road of experimentation. We placed a lot of focus on getting nuance and believability into the animated characters’ faces, which is a difficult task. If you do it in too much detail, they cease to become believable or relatable, so you have to tactically limit the facial expressions. Stokes: If you map the face and do an absolute replica, the likeness becomes uncanny so the animator wanted to create a more idealised avatar to give a sense of it being painted, which gives them more soul and brings them closer to the emotion of the original actor. 6. Stokes: The show was originally put into development by Channel 4, which was very supportive from the get go. Then Bryan spoke to Netflix, which already plays Skins in the US, and they were keen on the combination of C4 and Bryan, so it was that alchemy that came together. Elsley: We’re in conversations about season two. We’re hopeful. We like the show and we think it’s come out quite well. 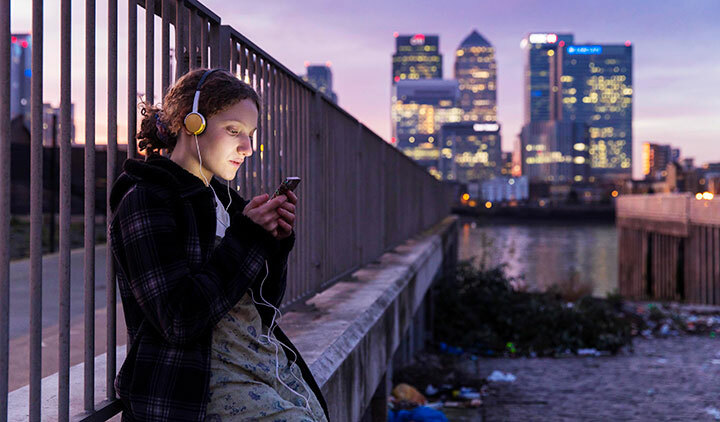 Kiss Me First debuts on Channel 4 on April 2 and Netflix later this year.